Bike Week is an annual opportunity to promote cycling, and show how cycling can easily be part of everyday life by encouraging ‘everyday cycling for everyone’. This year’s Bike Week will be staged 14-22nd June 2014, although Bike Week events are organised outside of these dates, too. Bike Week was started in 1923 by the Cyclists’ Touring Club (now known as CTC). Demonstrating the social, health and environmental benefits of cycling, the week aims to get people to give cycling a go all over the UK, whether this be for fun, as a means of getting around to the local shops, school, the library or just to visit friends. NOTE: Bike Week 2014 is funded by Cycling Scotland, Travelwise Northern Ireland, the Welsh Assembly government, and Bike Hub. Oxford Bike Week encourages people from all walks of life to get on their bike and start cycling. A week of free, bike related events from 14-22 June, events range from Thames Valley Police event on bike security and registering your bike in Broad Street on Wednesday and Thursday to an overnight dash to Dorset. Of particular note is an event on Friday 20 June which is a ‘Wheels for All’ taster session, where people of every ability and disability can have fun trying out trikes, bikes, handcycles and a wheelchair transporter. There’s a bike for everyone! The first two ride events are on Saturday and both start from the Tourist Information Centre on Broad Street. At 9.30 am the ride leaves for the Roman Ruins at North Leigh. 25-30 miles including a cake stop, this ride takes in roman mosaics normally under lock and key. At 11am the Bainton Bikes Oxford ride is a family friendly ride around Oxford taking in all the sites. 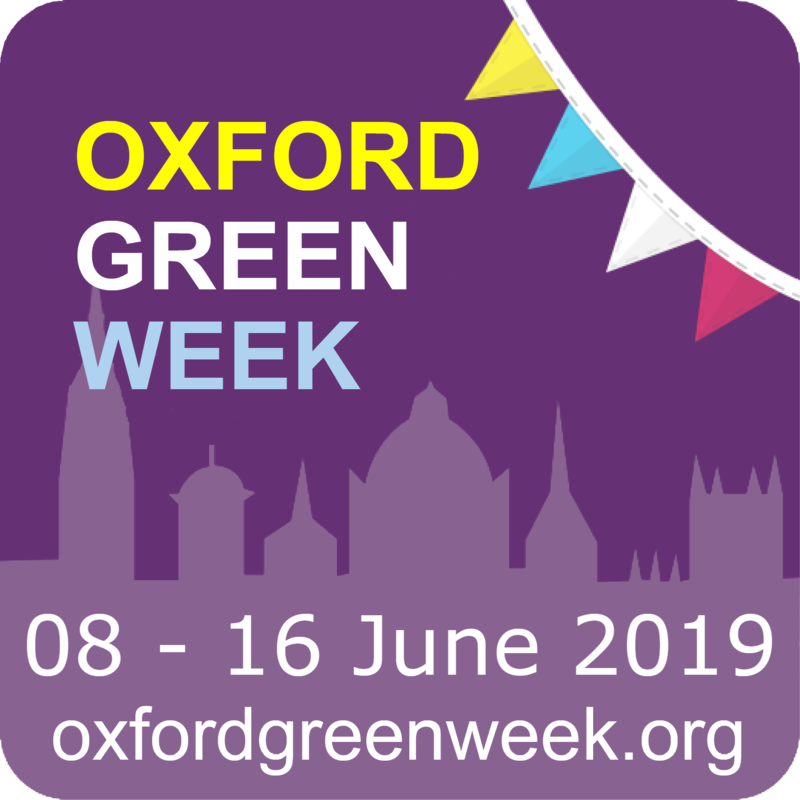 The organisers of Bike Week Oxford are a coalition of volunteers from cycling organisations including Sustrans, Cyclox, the Broken Spoke Bike Co-operative, CTC (Cycling Touring Club), Isis Cyclists and Bainton Bikes. Please feel free to use the photograph below for publicity material, credited to “Oxford Bike Week 2014”. Click on the image for a larger version, suitable for online and print publication.